If your venue has an outside space (or has access for vehicles to get inside), food trucks are amazing. They require minimal set-up, they fill what otherwise might be dead space, and they look super impressive too. 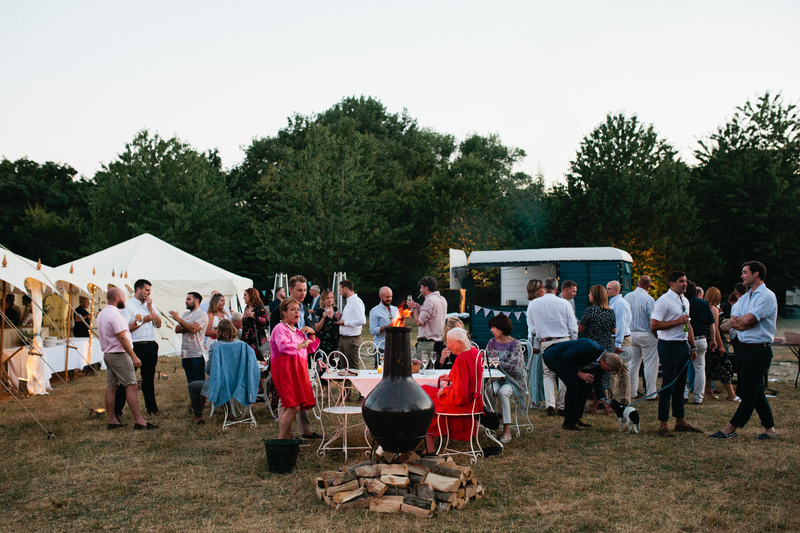 The food trucks on offer for wedding catering are super creative – fancy a pizza from an old USSR army truck, anyone? If you have large numbers, consider having a couple of options for guests to choose from. One of my favourite pastimes is visiting food markets in London, and it’s amazing how many times the best thing I’ve ever tasted has been from a street food stall. They’re often set up by people who are passionate about what they do, and you can totally tell in the flavours and the food they create. Plus, going to markets and events to research your favourite street food stalls also makes for some great date day ideas! Why not each pick your favourite stall and rename a dish on their menu to make sure everyone knows it’s your choice? 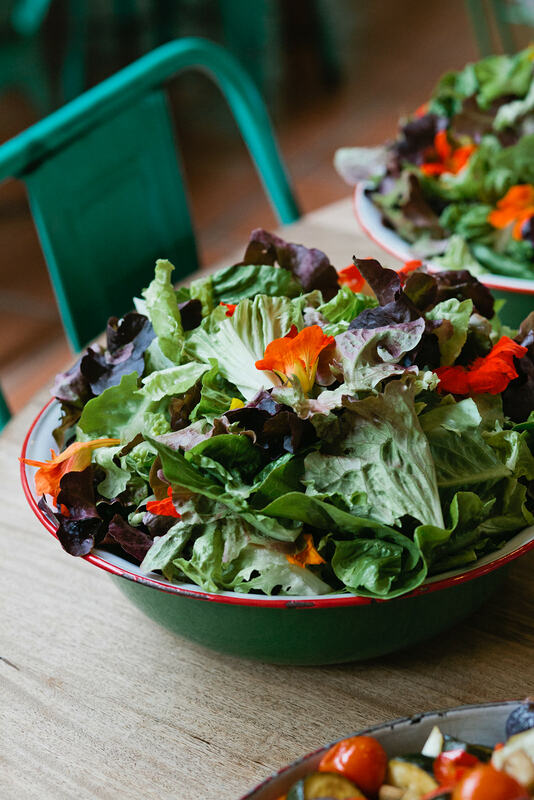 If you want delicious, picky things to be eaten as people are moving and grooving, grazing tables are the one for you. Imagine plates and hand-whittled boards piled high with seasonal, artisanal produce – a feast for the eyes and the mouth. They look super decadent, like something from a painting, but don’t require the formality of a three, five or seven course meal, meaning you can gaze longingly and graze lovingly. You can pick and go, so there’s no interruption to the flow of the day. Even in more traditional wedding venues, sharing platters are becoming more and more common. If you like the idea of a grazing table but want to make more of an occasion of the meal, then these are for you. Instead of being portioned separately, the food is brought out on heaped platters and placed in the middle of the table for everyone to serve themselves. It’s a great way of breaking the ice if you have tables of people who don’t all know each other, as it keeps the atmosphere really light and fun, and they’re especially suited to long, trestle table style setups. Food options for more intimate weddings can be a little bit tricky but, no fear. 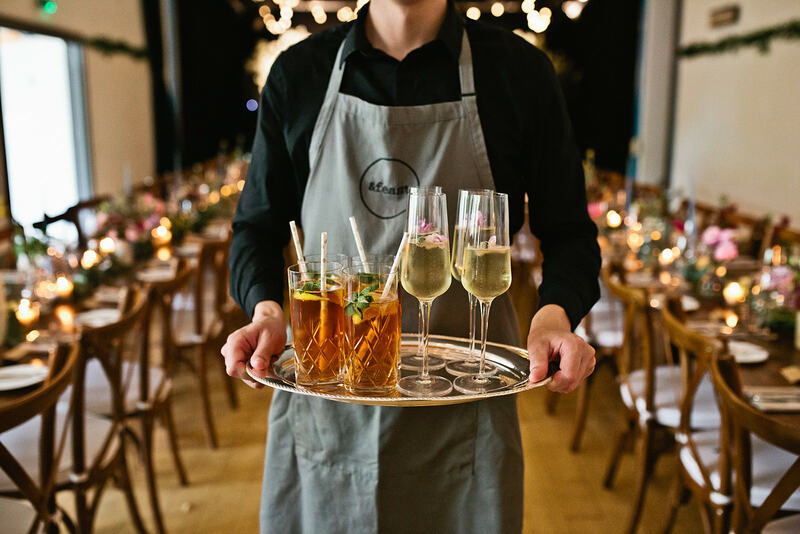 I love a supper club style food service for smaller weddings, where professional chefs come in and tailor the experience to you in a personalised, closer setting. Some supper club companies will take care of the whole thing, from candles to cocktails, so if you’re pretty laidback about your wedding but want your guests to be treated to something phenomenal, this is a great option. If you’re looking for ways to break the ice at your wedding, this is perfect. Nominate one person on each table to be the ‘chef’ – either go round on the day nominating them, or lay a chef’s hat and apron at their place setting in advance – and then they have to serve the meal to the table, cutting and apportioning it to people. It works best if you’re having a roast, or something that can be brought out that then needs to be cut. It’s an excellent game with maximum interaction, getting people chatting to each other. Latest From The Blog More From The Wedding Planning Guide Book Your Wedding Photography Now!